I have been a bit coy about mentioning this, and I’m not sure why, as public support may be of great help to The Tree House. 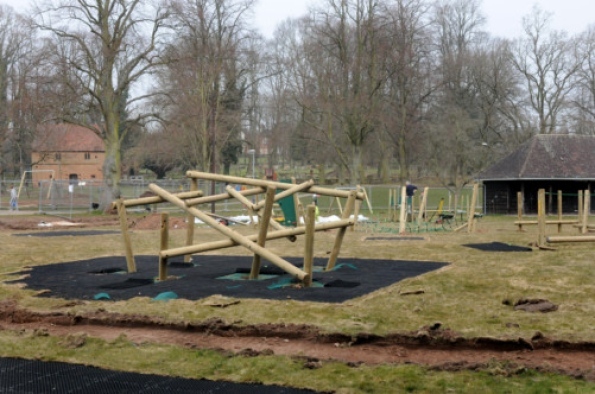 There is a disused sports pavilion in Abbey Fields, the beautiful park in the centre of Kenilworth – a 1930s wooden structure that the council want to demolish, as part of the refurbishment of the children’s play area. They have stayed its execution in response to a local outcry, and are now taking proposals for its potential use. I was encouraged to apply to use it for The Tree House, and the more I think about it the more I want it! It is small, and needs a lot of work doing to it. It is not in the town centre, in terms of being near shops and the majority of footfall in the town. The reason for the council wanting to remove it is that it can be a place for people to congregate to drink and take drugs, and makes the play area unsafe. Some people think I’m a bit crazy to want it at all, let alone as much as I do. But all I see is the vast potential! It is small, but has character. It needs work, but it’s a blank slate. It is not in the shopping centre, but it is in the centre of a park that many people walk through for pleasure or for access between the old town and the new – it is right between the two parts of the town. It is right by the children’s play area and the swimming pool, and on a popular dog-walking path, so does have a reasonable natural footfall. It’s near a car park. It’s right opposite the old barn that was part of the medieval abbey (perhaps we could collaborate with the museum there in some way), and near the other physical remains of the abbey, and St Nicholas church, so is right in the historical hub of the town. The castle is not far away, and between the pavilion and the castle is the wonderful lake with all its ducks and swans. Abbey Fields is beautiful. 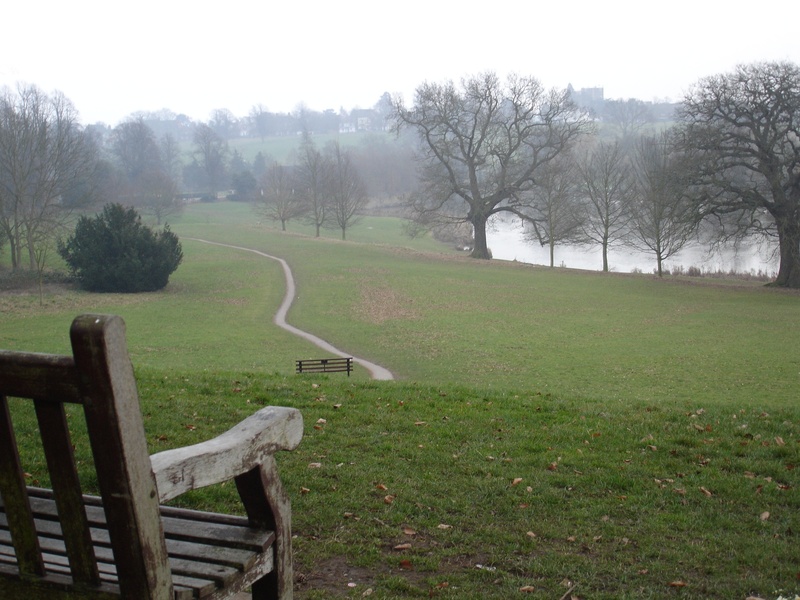 It’s one of the key reasons I came back to Kenilworth after 27 years away – I loved walking there as a teenager, and love it just as much now. I am very lucky to live close by it. It makes a spectacular setting for a second-hand bookshop and community hub! The bookshop could put on regular events for children, given that many use the area to play – a good place to shelter when it’s cold or wet, and the potential for outside story sessions when it’s warm and dry (it has been known!). We could host regular events for adults, daytime and evening – talks, readings, groups, all the things I’ve mentioned in connection with the project before. Workshops by local writers, open mic poetry sessions, little theatre productions. 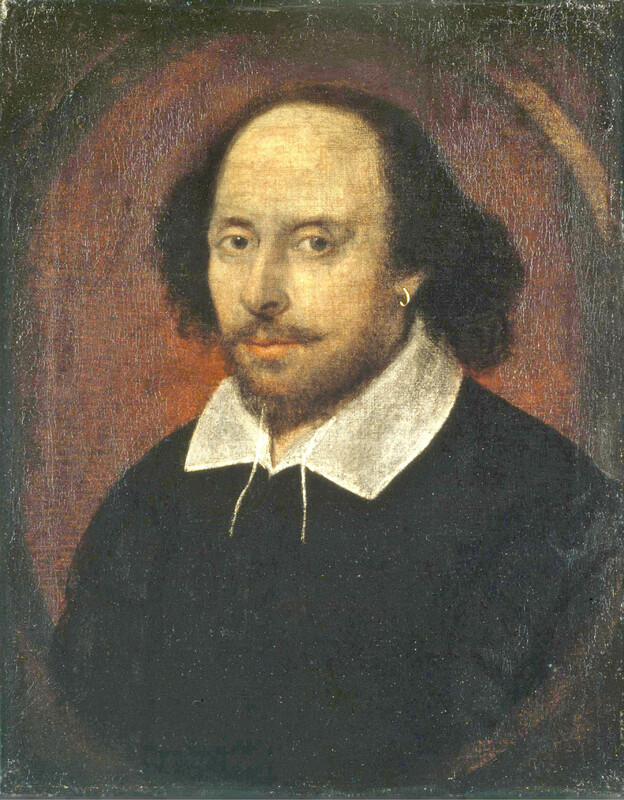 A Christmas grotto, an Easter garden, St George’s day celebrations and Shakespeare’s birthday, a maypole on May Day, just the most obvious seasonal celebrations among many others. We could offer tea and coffee, with outside seating in summer. A place to rest in the middle of a walk, a place to head for as a break from work, a place to enjoy on a day off. The Tree House would look after the building. It is a community venture, and as such the building itself would be a focal point of that – a place saved by the people of Kenilworth, for the people of Kenilworth. The play area has just been refurbished (the photo was taken during the refurbishment, it’s not the finished product! ), and I would love to make The Tree House part of the sprucing up of this beautiful part of our town. There is the pavilion in the background on the right, with the museum in the medieval barn in the background on the left. The council will not be announcing their decision until the end of October, so a long wait. 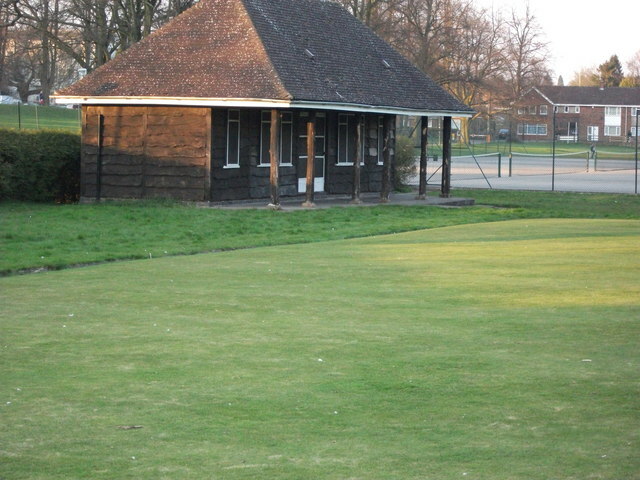 But if you think this might be a good use for the disused pavilion, do let the council know! Public support might help The Tree House. David Anderson at Warwick District Council is the man in charge of handling the proposals. 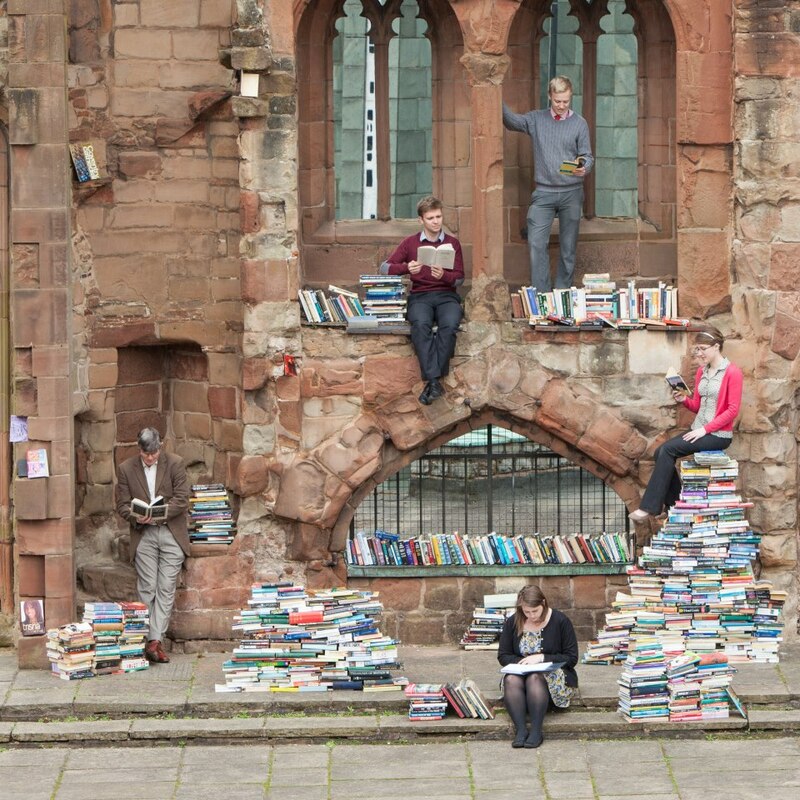 There’s a second-hand booksale at Coventry Cathedral over the bank holiday weekend (4-6 May) – what a fabulous photo to promote it! There will be children’s activities too, apparently, and it’s to raise funds for maintenance work on the ruins, and definitely looks as though it will be worth a visit. It runs from 10am to 4pm on each of the three days, in the porch between the new and old buildings. I am writing this at 3am because pain is keeping me awake – intense pain in my arthritic knees, dull pain and muscle spasms in my lower back, general ache in my arm muscles…as a result of setting up and dismantling my market stall yesterday, and standing up for much of the day. I am tempted to go and get a medicinal whisky, but that would involve stairs, and I am not capable of stairs at the moment. In fact I may be confined to the first floor of my house for some time to come – please send supplies. Including toilet paper. This is possibly a deal-breaker for my attempt to set up The Tree House on Kenilworth market on a regular basis. The practicalities of moving and storing the books make it unfeasible. This is sad, because it was otherwise a lovely day. I was very disappointed that the banner I ordered, and paid a premium delivery rate for, failed to be delivered by Parcelforce – won’t go into details, will just say that I am unimpressed. I had lovely friends who came to help and/or offer moral support, I had a good stream of customers (took just shy of £50, despite selling most books for 50p or £1, hardbacks £2, and a 3 for 2 offer; this left £20 profit once I’d paid the fee for the stall). The sun shone most of the day, the other market traders were friendly, and I had some excellent conversations with a number of people about The Tree House. It was also fab to put some faces to names of people who follow this blog and the Facebook page. Two lovely friends came to help with setting up the display, and Tamsin brought beautiful logs from a cherry tree that was once in her garden as book stands – entirely appropriate for The Tree House. I enjoyed the day, but the setting up and dismantling were horrendous, even with the aid of my new trolley. I also have nowhere to store the books other than my flat, which is at the top of a decent flight of stairs, prohibitive to someone with cranky knees, and even though my fabulous neighbour Leon carried all the books back upstairs at the end of the day, it nearly killed her too, and I am not expecting her or anyone to do that again. So what future for the market stall? I am not sure. I was intending to run it fortnightly for the next few weeks, owing to a work commitment elsewhere, so I have two weeks to think up a solution. I have ordered a banner, so it needs a home! Of course the best solution of all would be to find shop premises…and maybe a low-interest loan to help with that. I need to keep working on both. In the meantime, I will try to ignore the pain and focus on what was a happy day for The Tree House in some significant ways. The Tree House will be at Kenilworth Market again tomorrow – this time with a proper launch! It was all disastrous last week, for various reasons, but fortunately I’ve been allowed to have another go, and am very much looking forward to it. There is a lot of fiction (from Alistair MacLean to Dostoevsky, Douglas Adams to PD James, and all sorts between and beyond), but also history, children’s books, biographies and some general non-fiction. I will bring new stock each week, and let people know in advance what sort of stock will be on the stall. 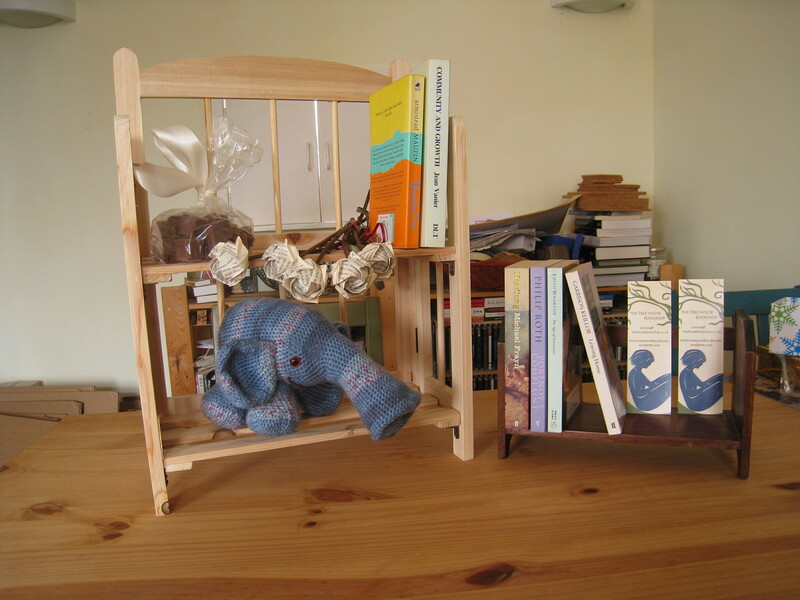 There will also be a chance for young children to enter a draw to name the Tooterphant pictured above – made by another friend, up in the North-East, and posted to me – so kind! She is in fact someone I have never met, a former student (I tutor online courses in art history) who has kept in touch, so that makes it even kinder. I will have cards that you can write a sentence or two about a book you have enjoyed. There will be flyers and information about The Tree House and about the Film Club starting up in a couple of weeks, and the bookmarks you can see on the right in the photo above. So if you are out and about in Kenilworth between about 9am and about 4pm, please do come and say hello. 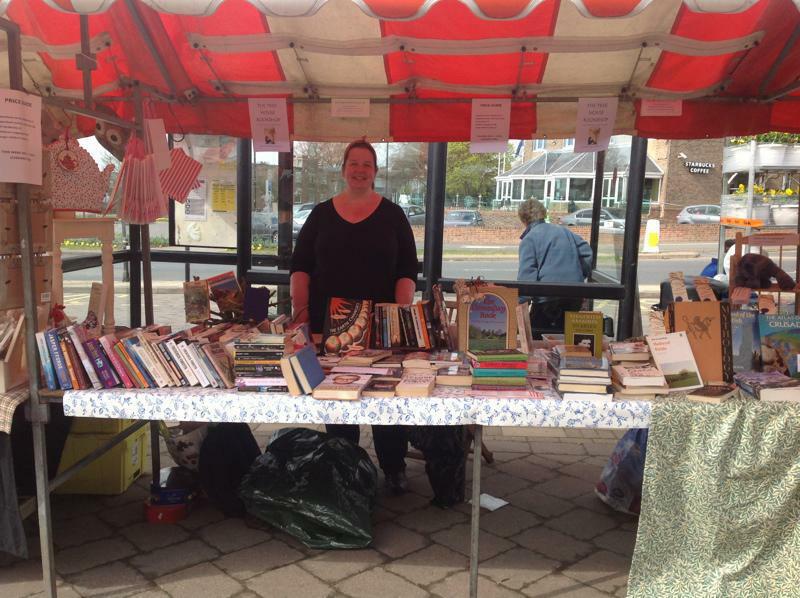 If you ever have books to donate, do bring them to the market stall. After this week, it will be fortnightly for a while, due to another work commitment that I am not able to change, but over the summer I plan to be there weekly. I have ordered a banner, which is supposed to be delivered today, but hasn’t been yet – there’s still time! If not, it will be up in a couple of weeks, which will make us easier to find, but it’s not a very big market. Last week I was right by the bus stop. Wish me well! And pray for dry weather…no more soggy books. Now that I am re-energised in terms of setting up the market stall, there are a few things The Tree House needs. I will be scouring the charity shops for things, but thought it was worth mentioning here (to local people, at least) what little bits and pieces we need, even just to borrow for a bit. Bookends would also be useful. It would also be great to have any children’s books that people might have been thinking of giving to a charity shop – for all ages, including story books for little children. Of course I’d love any books at all! Especially non-fiction – though I always need novels too. I’m also looking for holders for flyers and bookmarks – again, not difficult to track down, but if people have such things lying around, I’d happily take them off your hands! After last week’s fiasco, I could also do with clear plastic sheeting, for future rainy days – preferably biggish sheets – the table is 10′ x 4′, and it would be good to have some to hang around the sides as well as to cover the books. I do have a few ideas for the stall, and if the weather is fine (or dry at least!) I will bring a little table and a couple of chairs, and people can sit and read a book or fill in a card about a book they’ve enjoyed reading, or just have a chat. 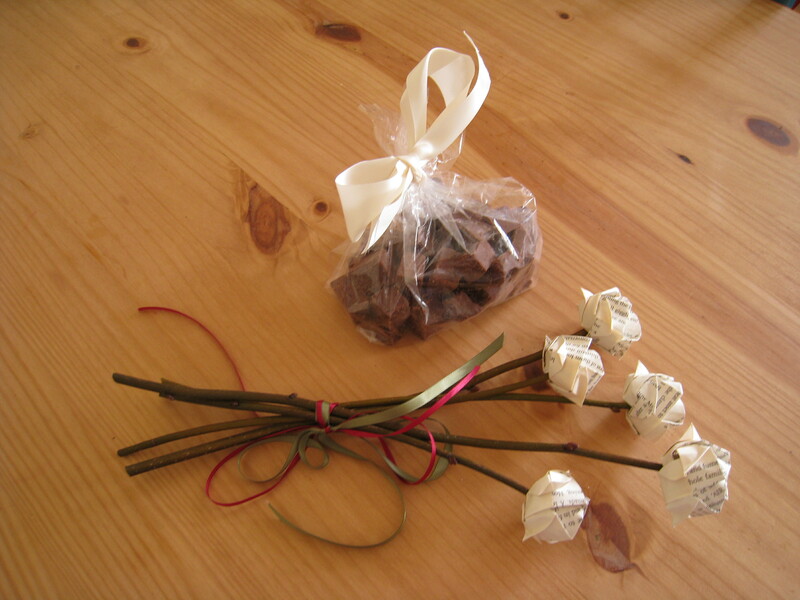 There will be Tamsin’s homemade fudge and other edible goodies on offer… Let’s make it happen, and let’s make it fun! 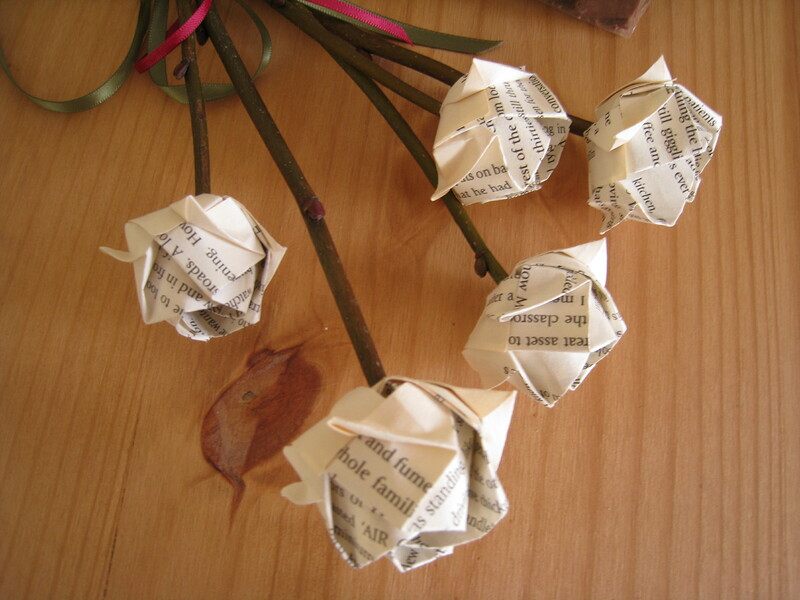 A gift from a friend, for my market bookstall…so lovely!